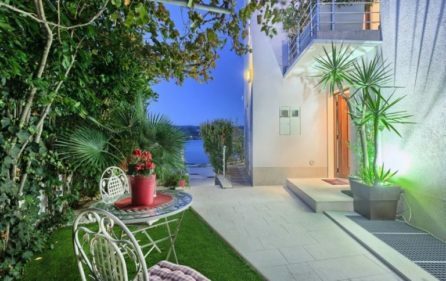 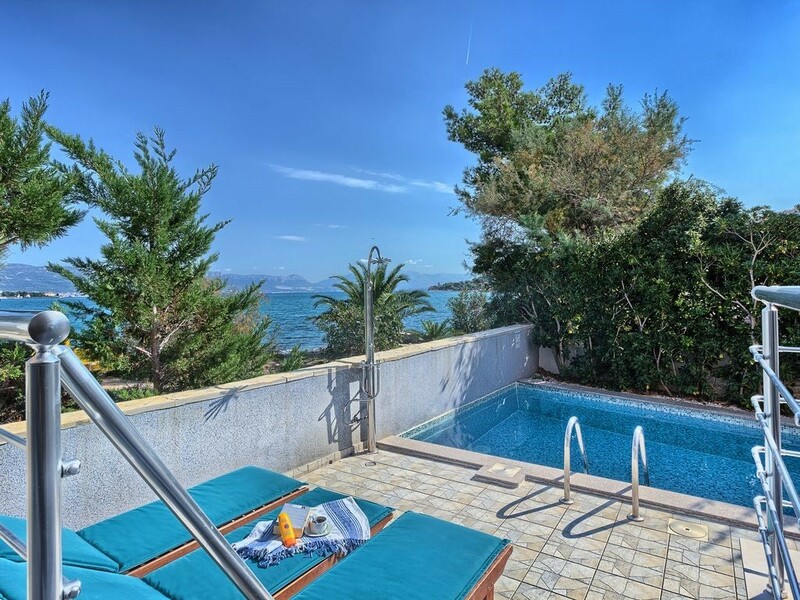 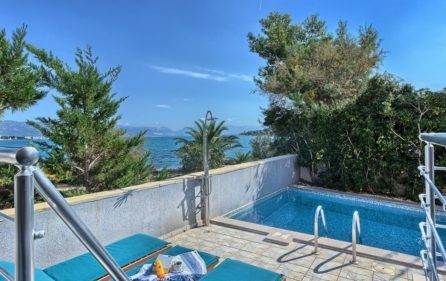 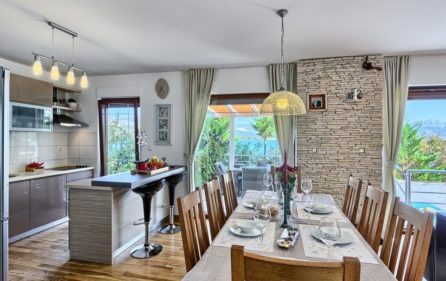 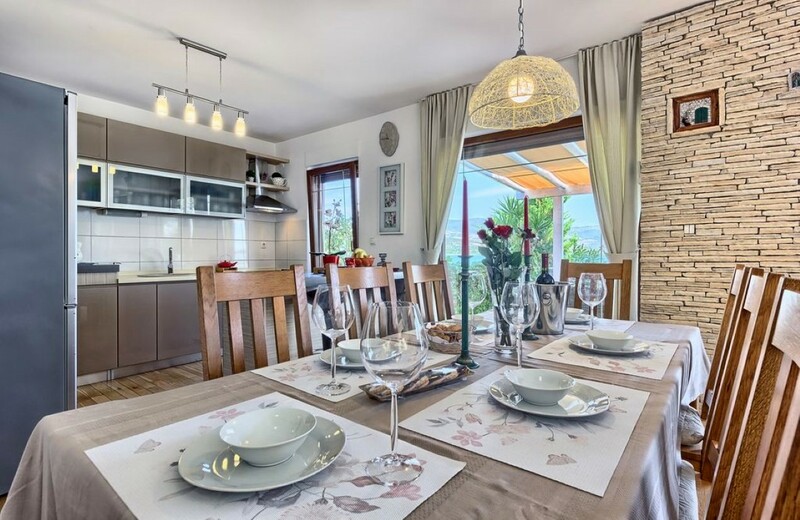 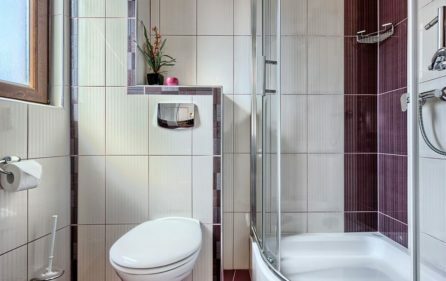 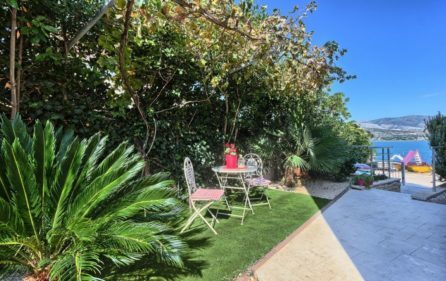 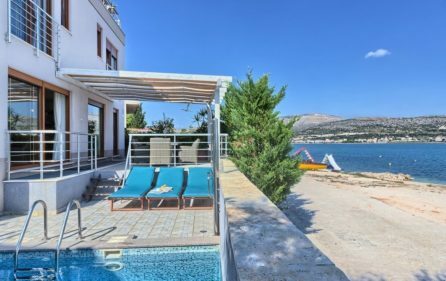 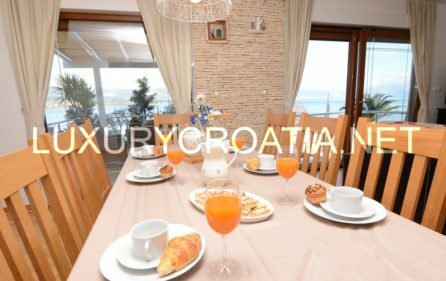 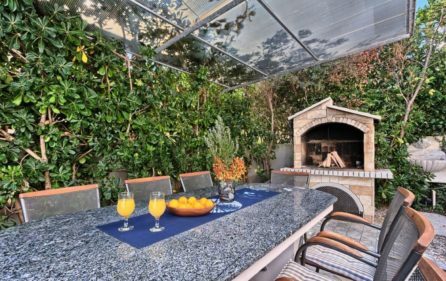 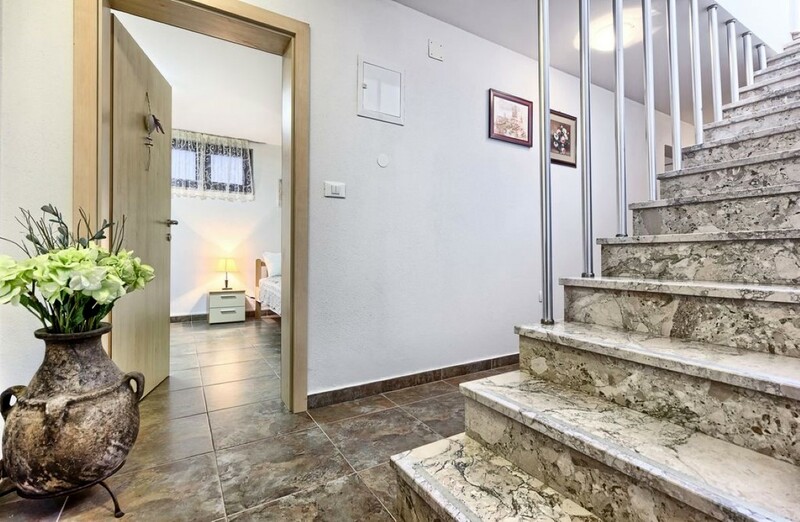 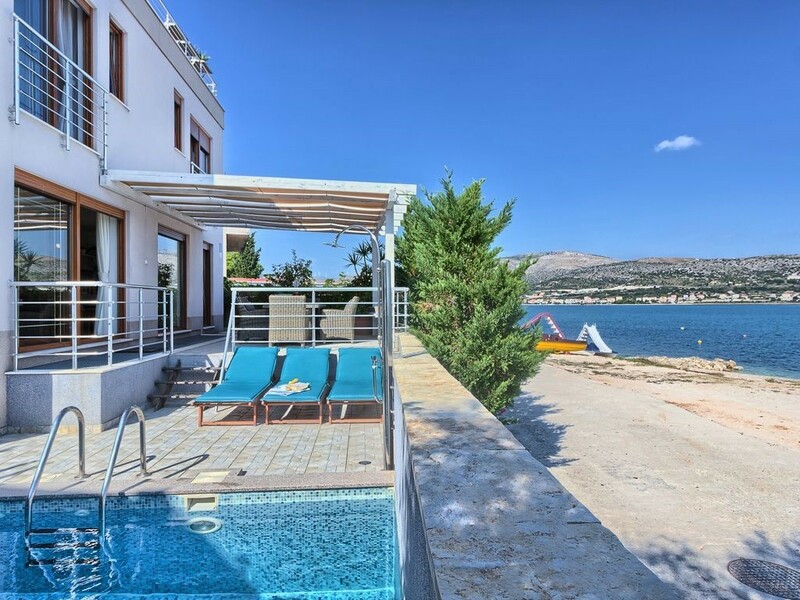 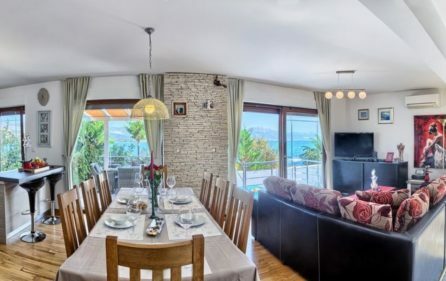 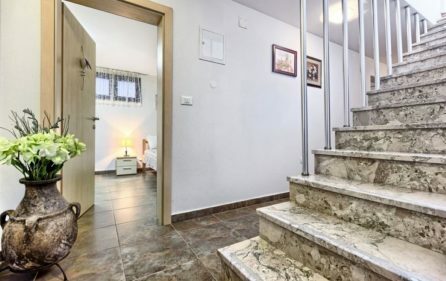 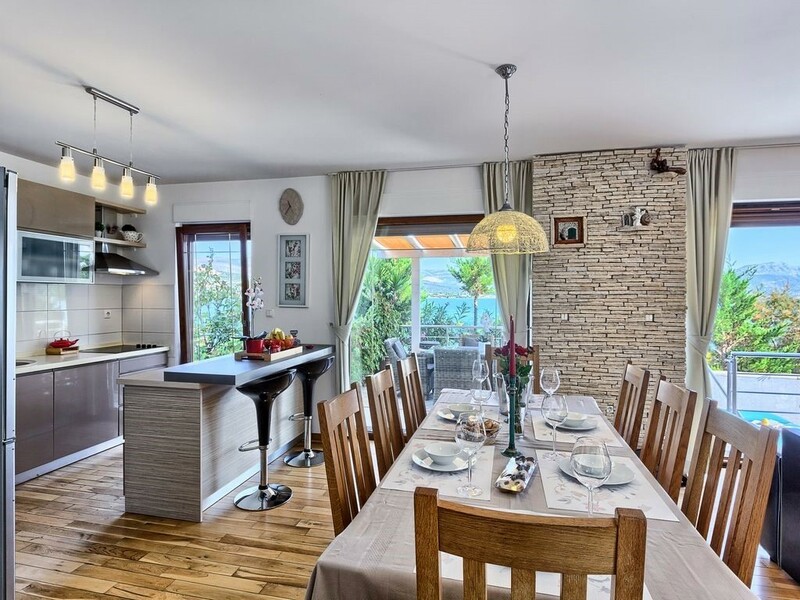 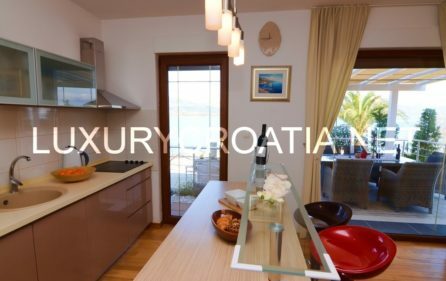 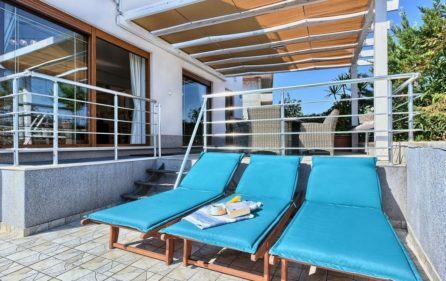 If you desire to spend your holiday on the Adriatic in villa of the highest quality, this villa on the island of Ciovo is exactly what you’re looking for. 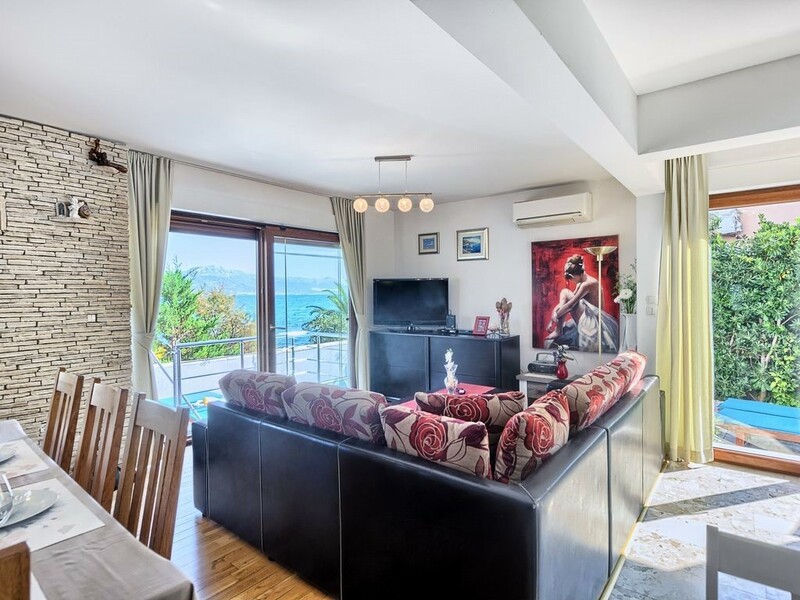 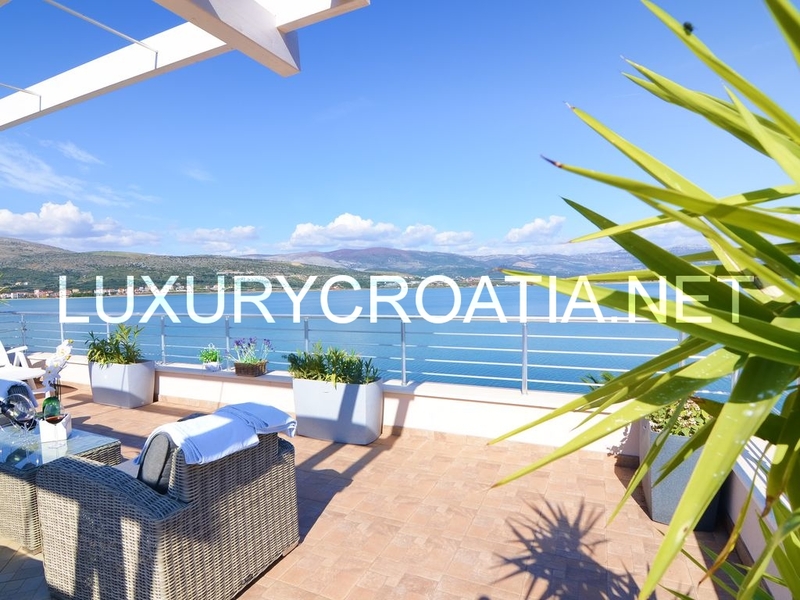 Situated directly on the sea, decorated and furnished with luxurious modern furniture – these are just some of the special features of this exclusive villa that will satisfy even the most demanding guests. 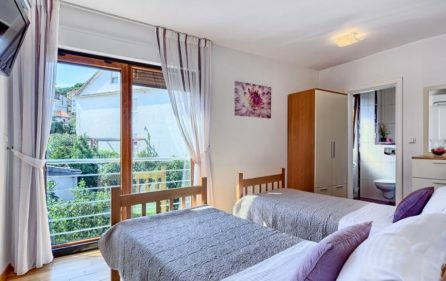 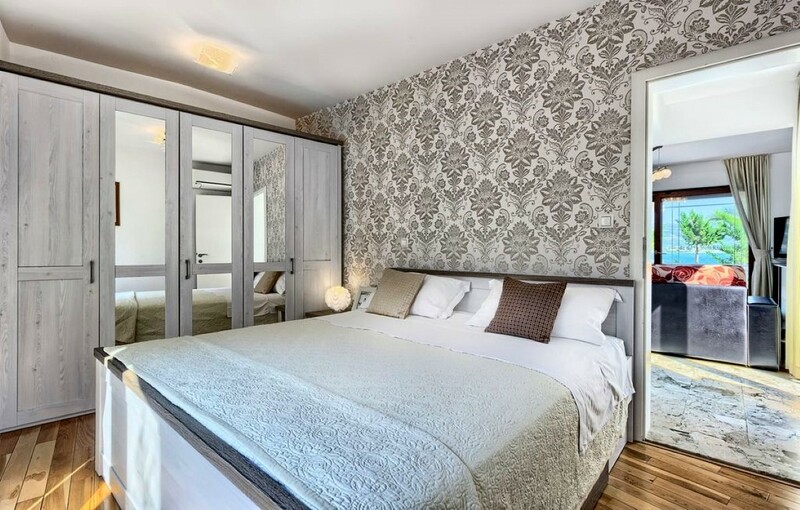 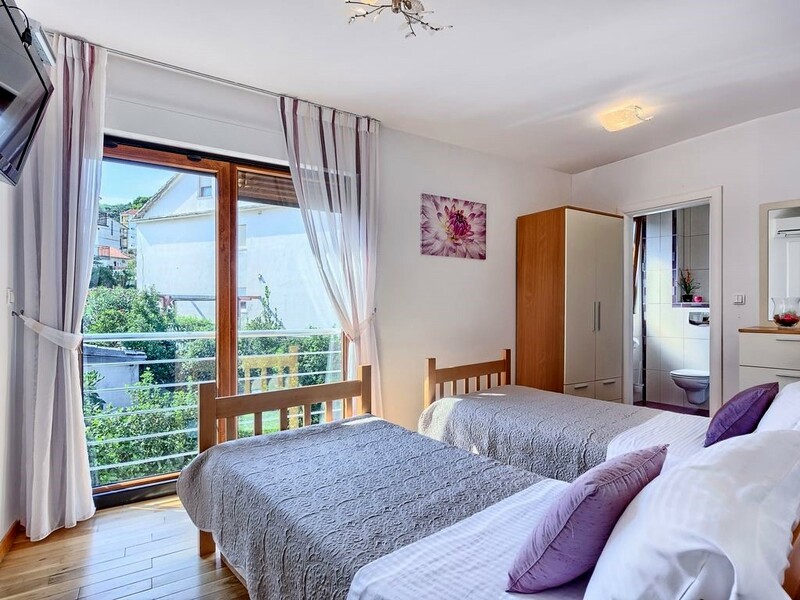 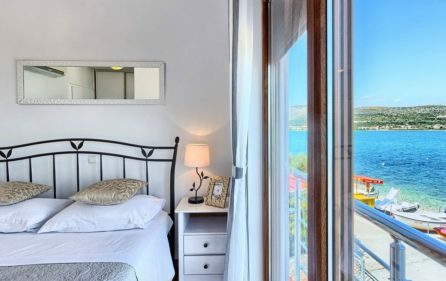 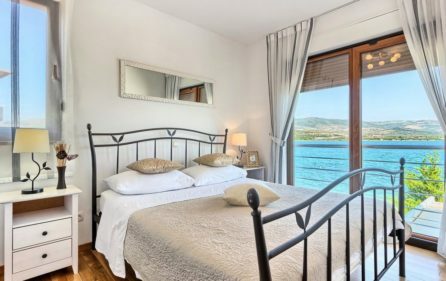 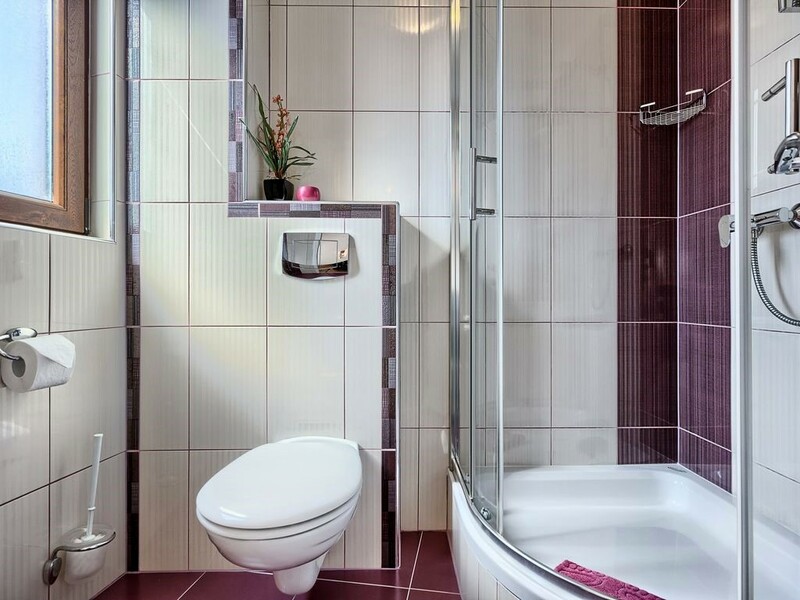 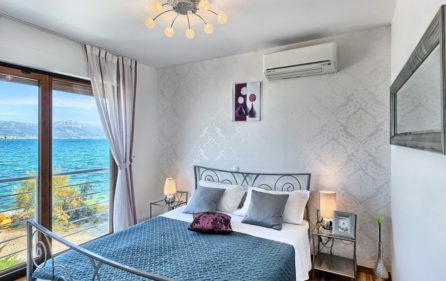 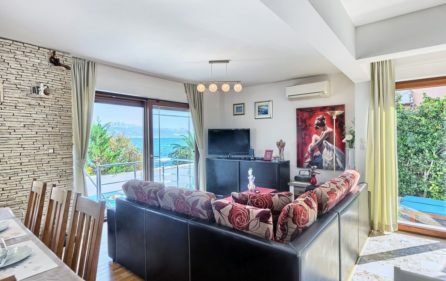 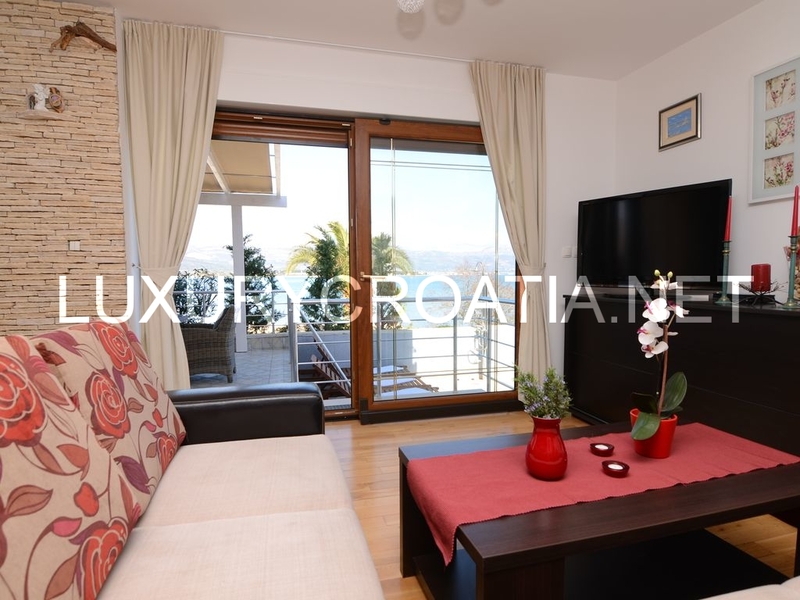 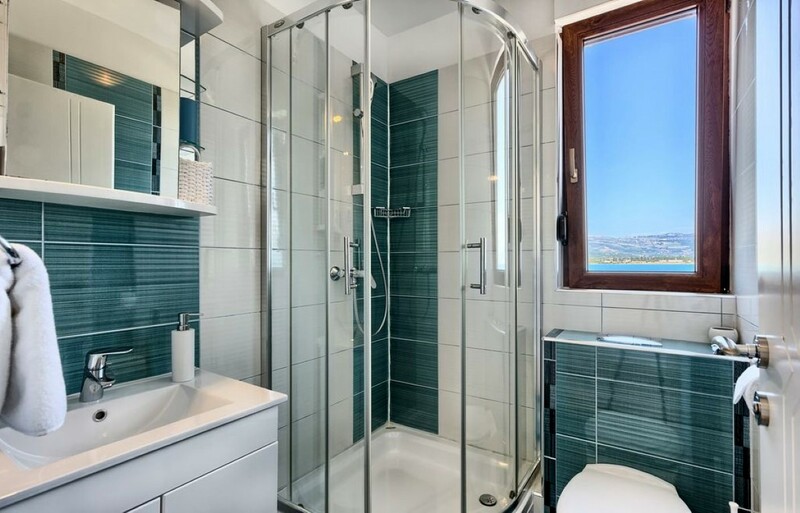 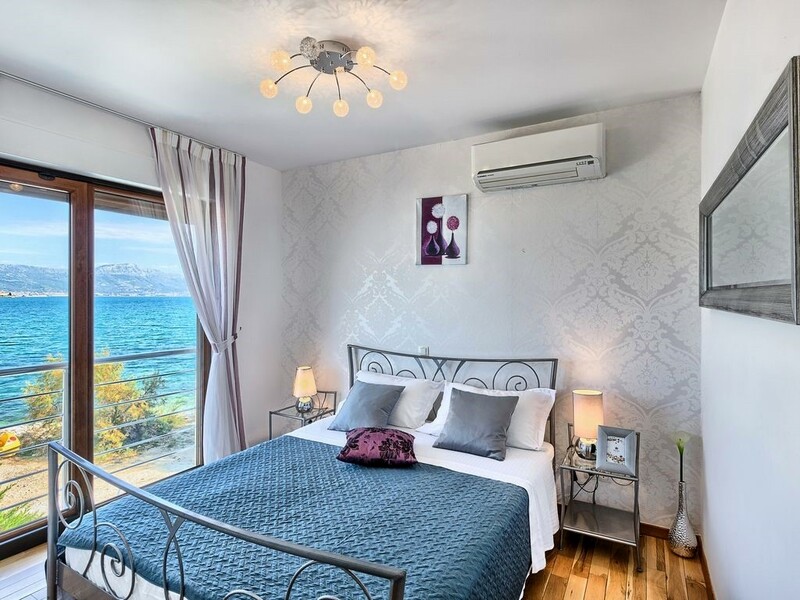 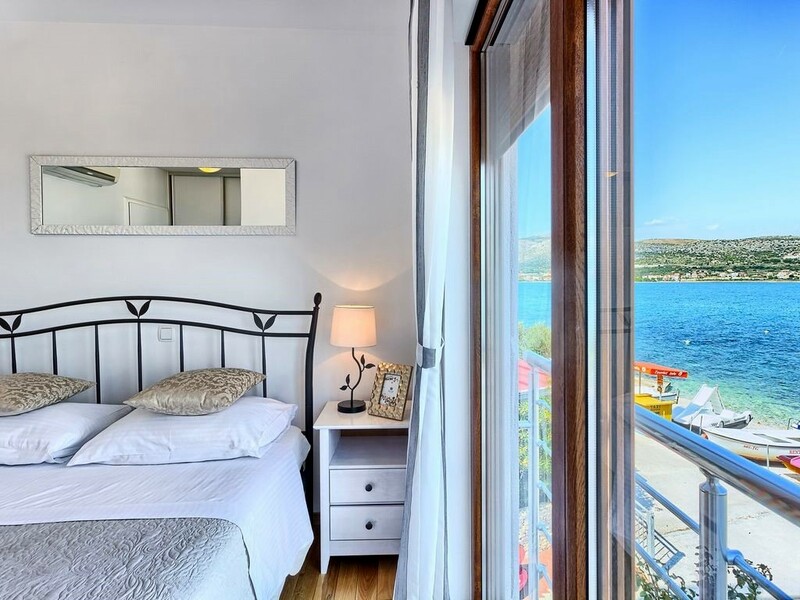 The rooms are bright and facing the sea, so you can relax and enjoy the view of the Adriatic and the coast. 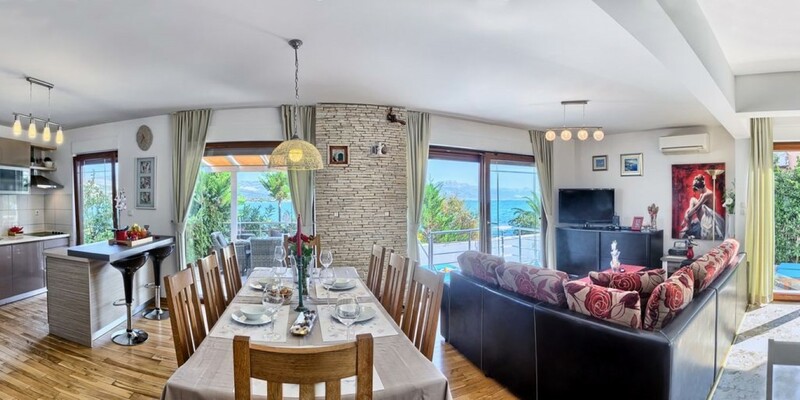 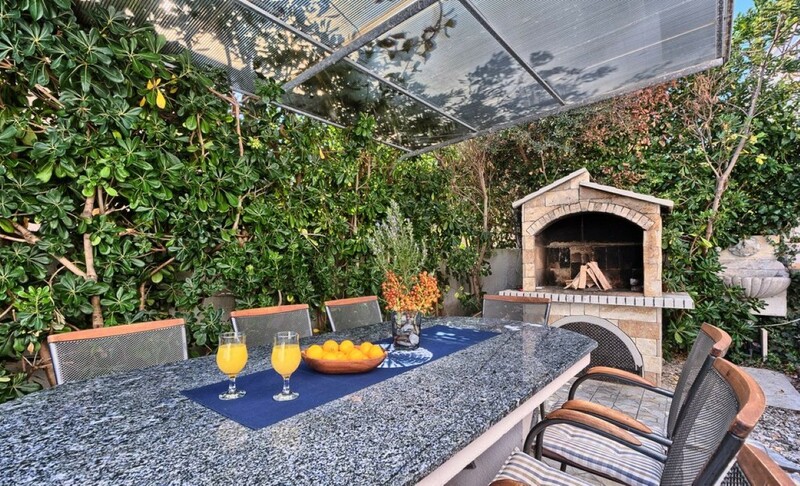 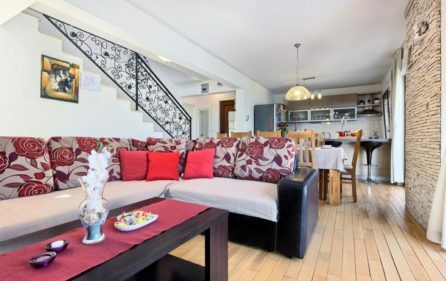 There are total 4 bathrooms in the villa, a spacious and equipped kitchen and a living room. 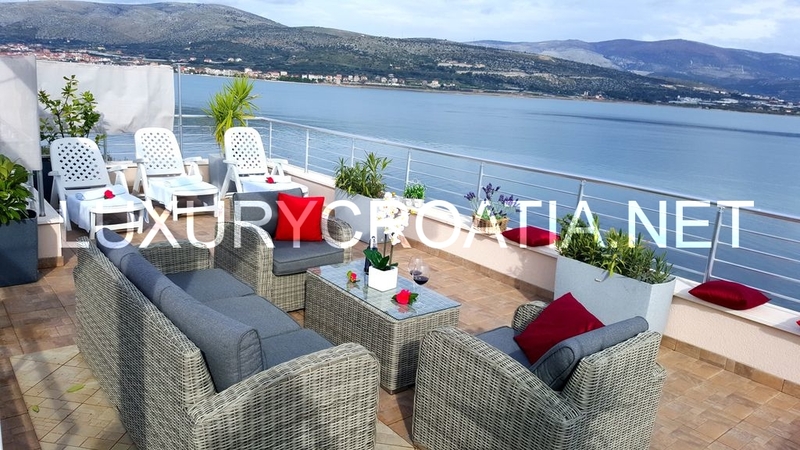 On the beautiful terrace you can enjoy swimming in the large swimming pool, dinning in the outside living area or simply relax and enjoy the views and the scents of the sea. 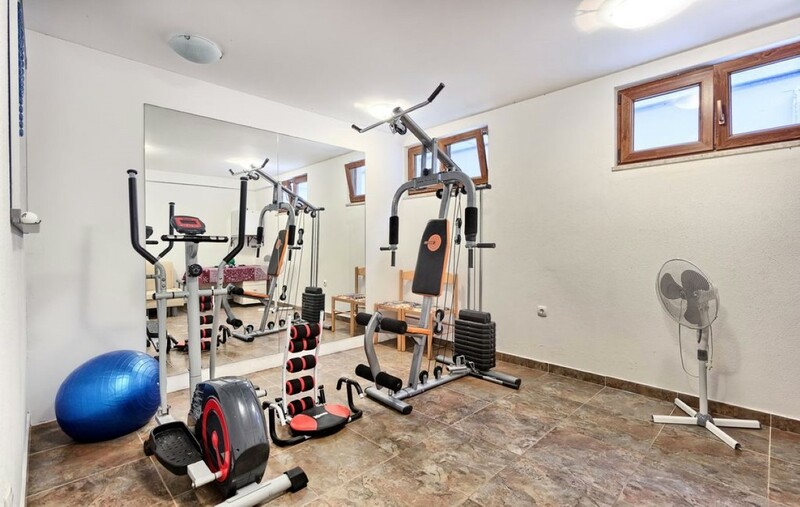 For active guests, there is a small gym with fitness equipment. 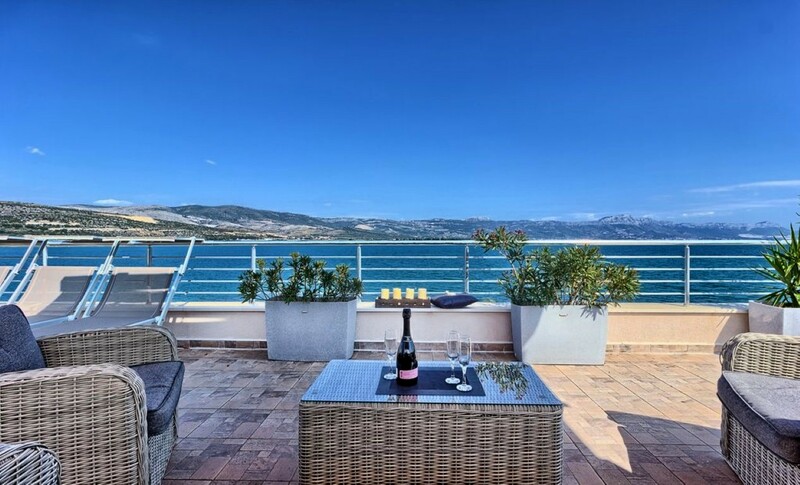 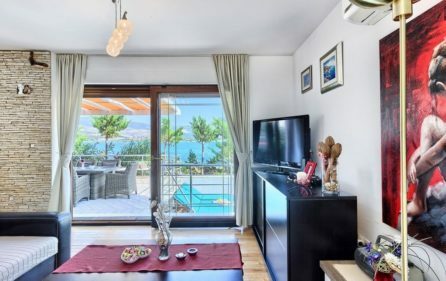 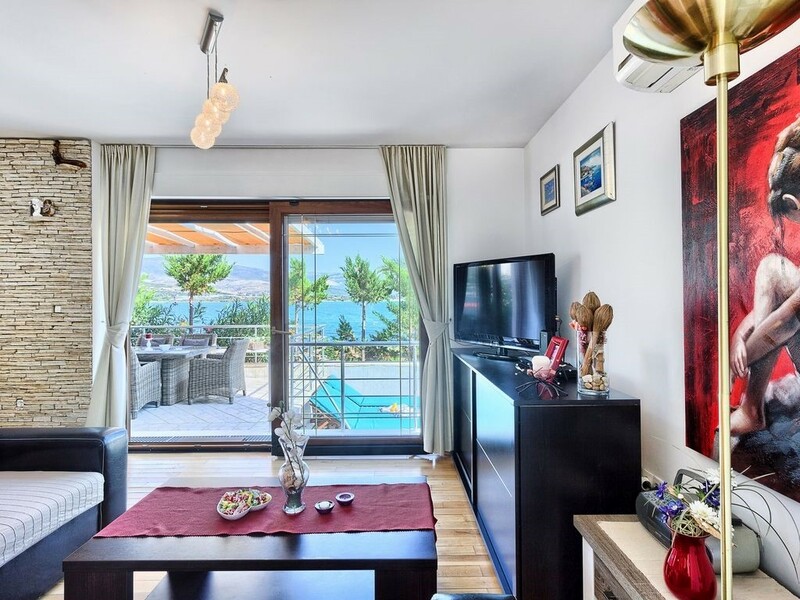 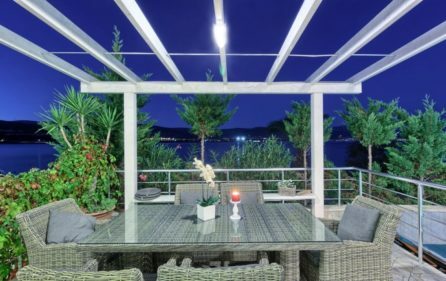 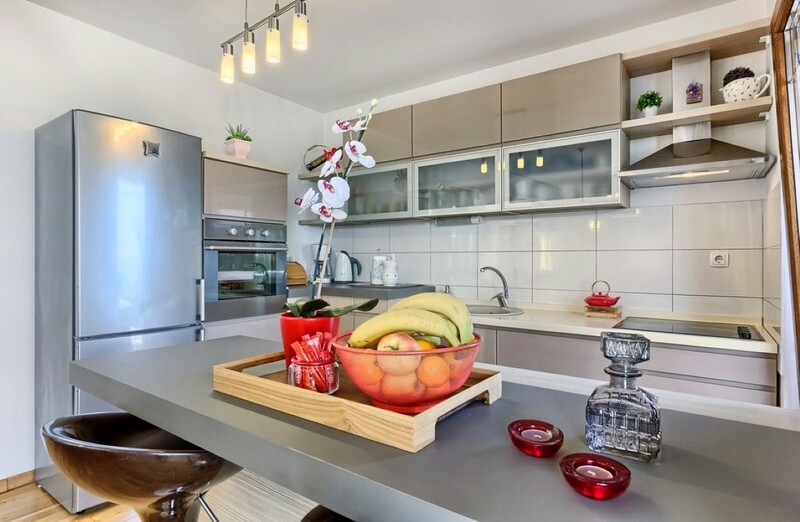 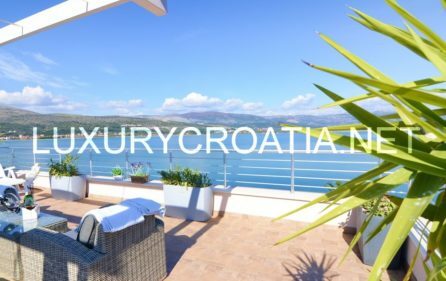 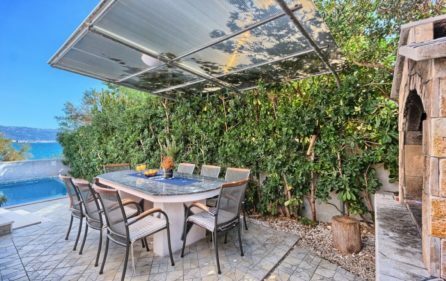 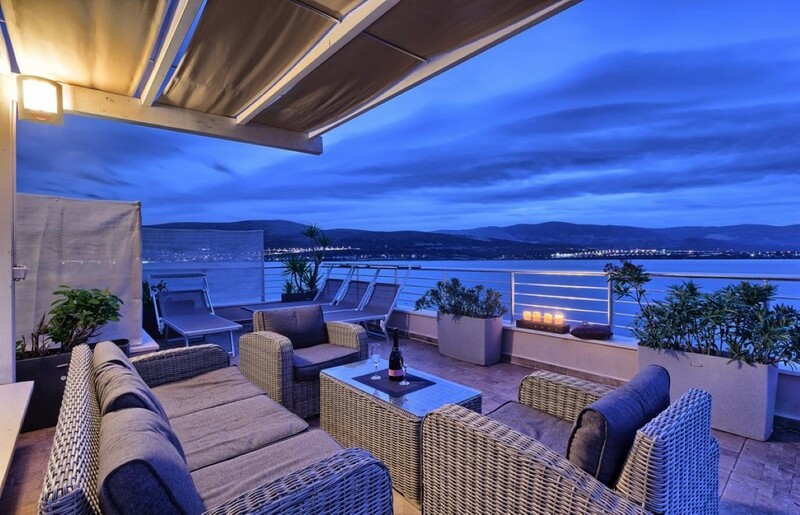 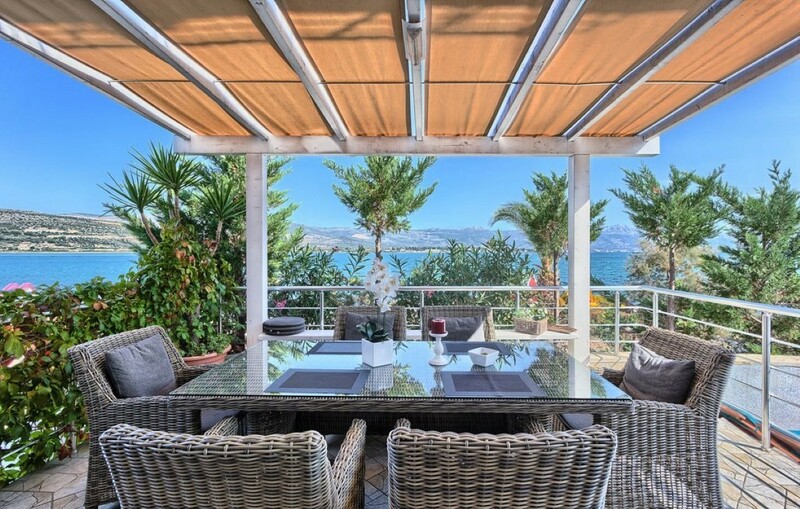 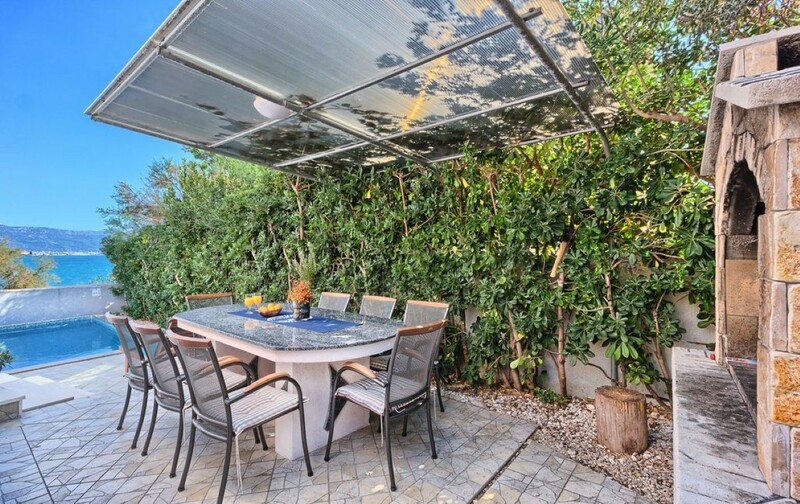 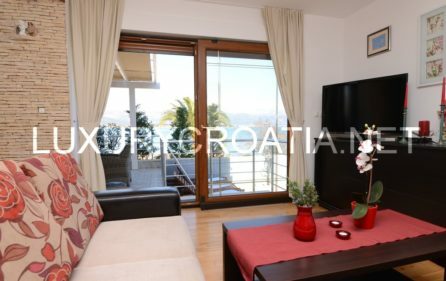 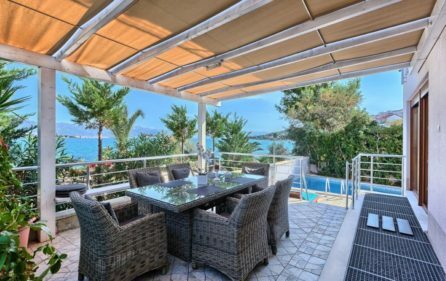 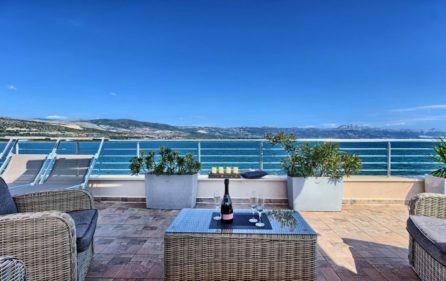 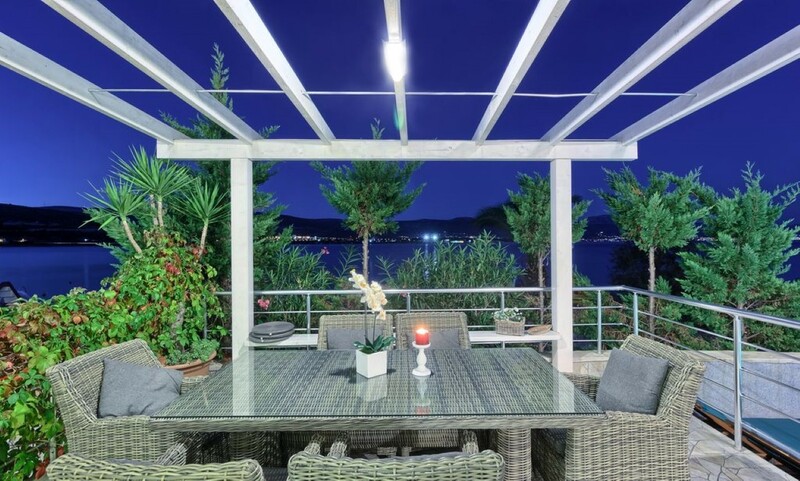 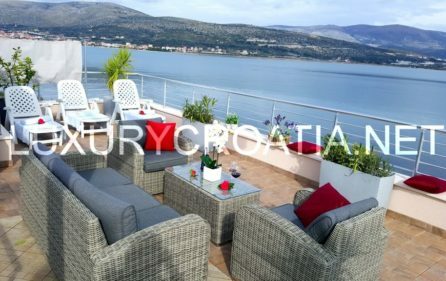 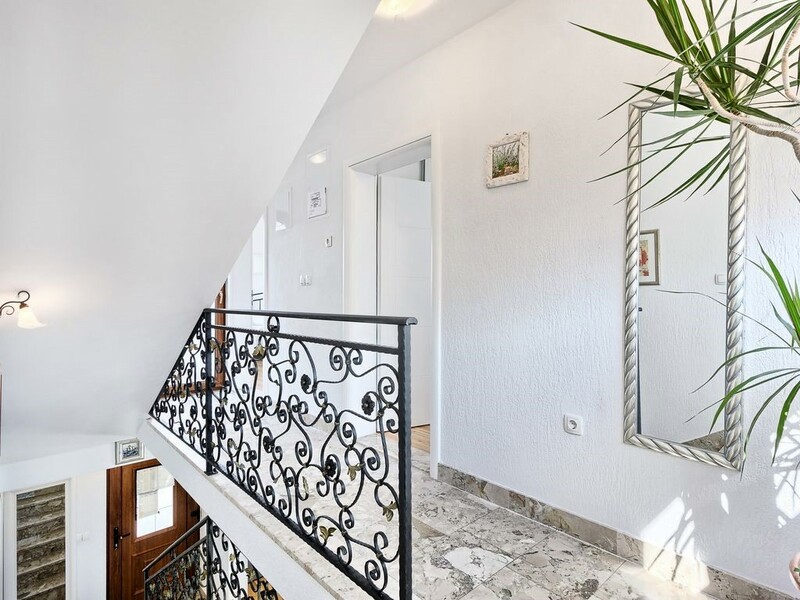 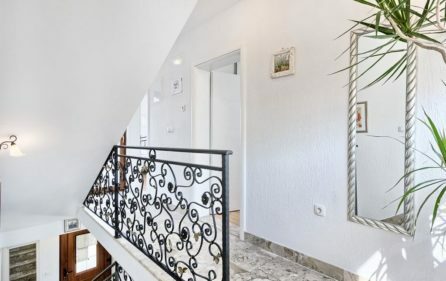 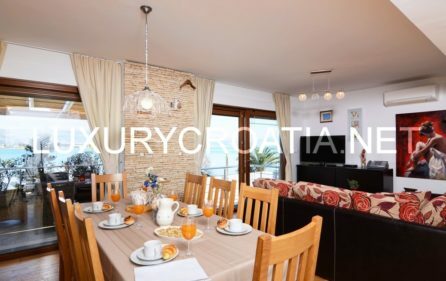 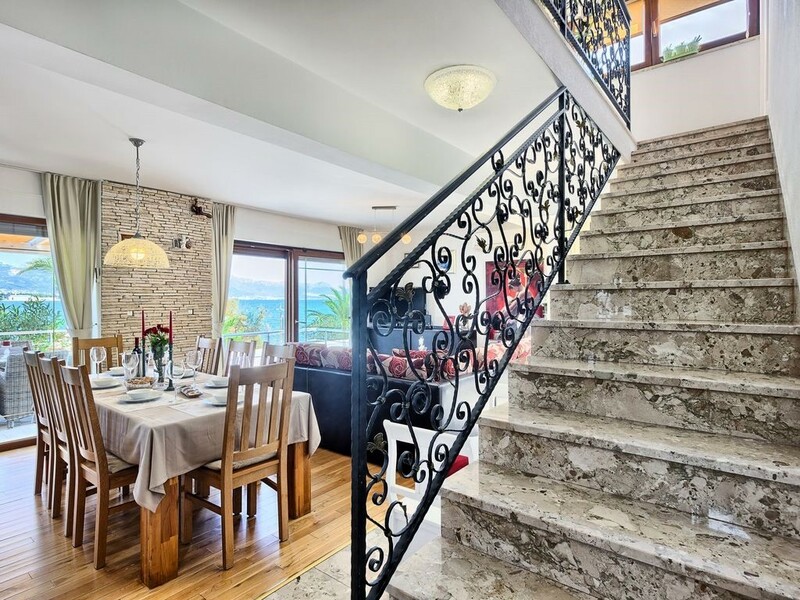 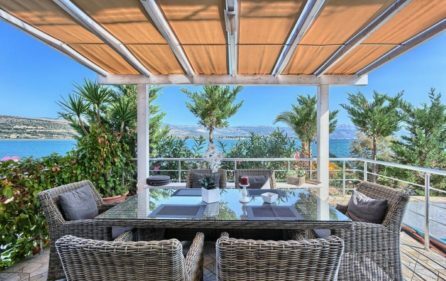 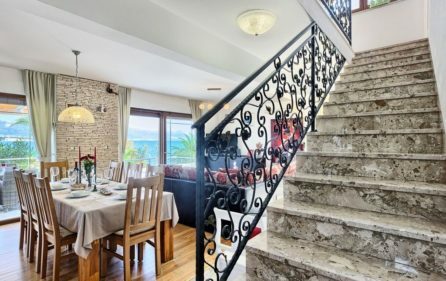 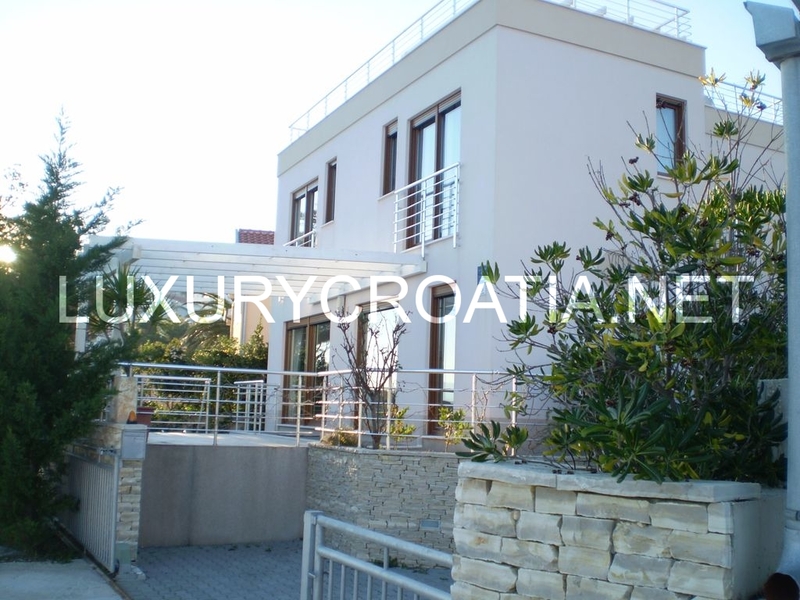 As well as exclusive interior design, this villa offers you the opportunity to visit one of the most beautiful cities in Croatia, Trogir. 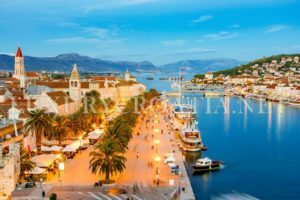 Trogir is a historic and picturesque town and harbour, founded by the Greeks in the 3rd Century BC. 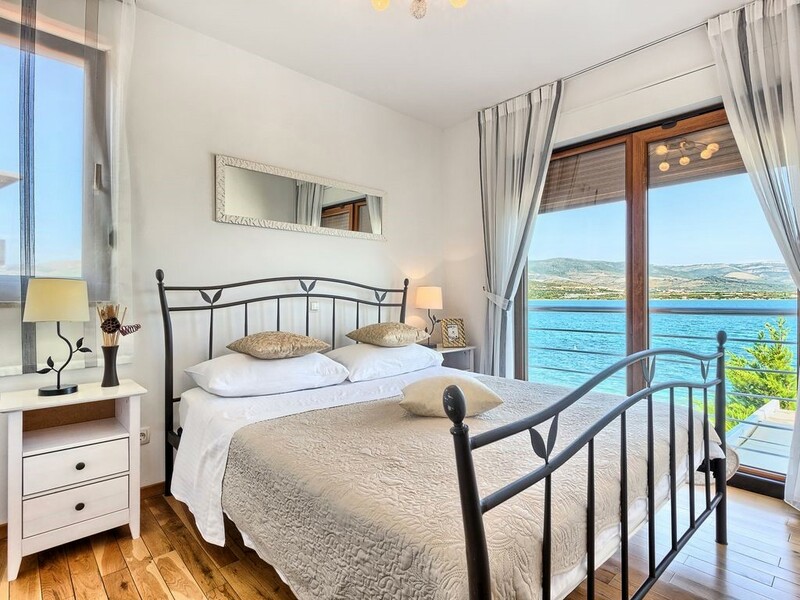 Trogir offers more than just ancient history, as in architectural and cultural monuments that are recognized even by UNESCO, such as famous Kamerlengo castle, The Duke’s palace, The Cathedral with the portal of Master Radovan, city gates and city walls. 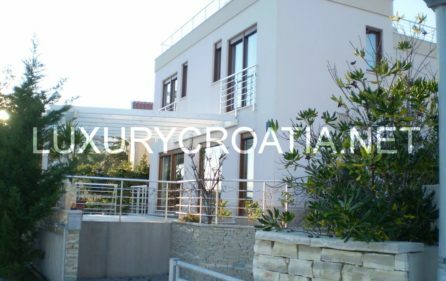 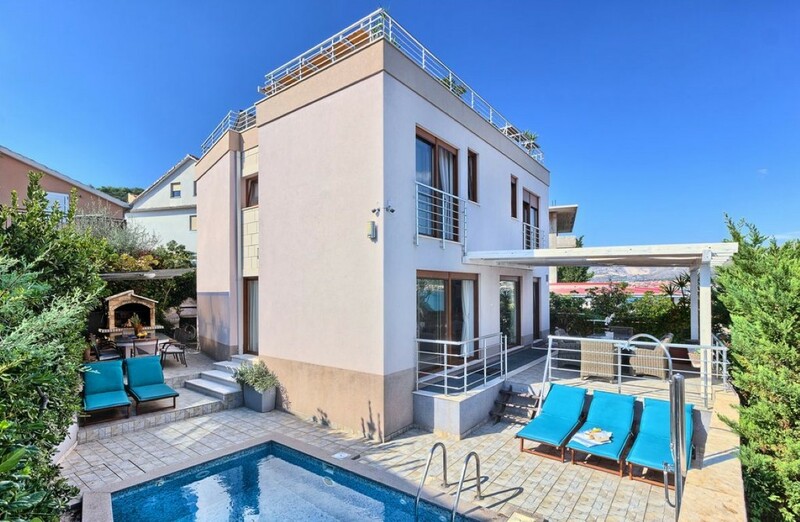 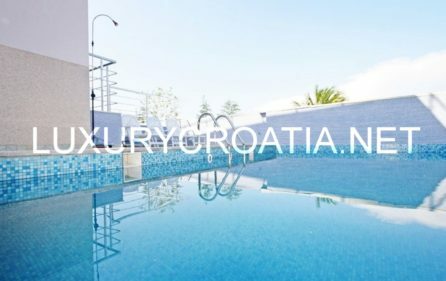 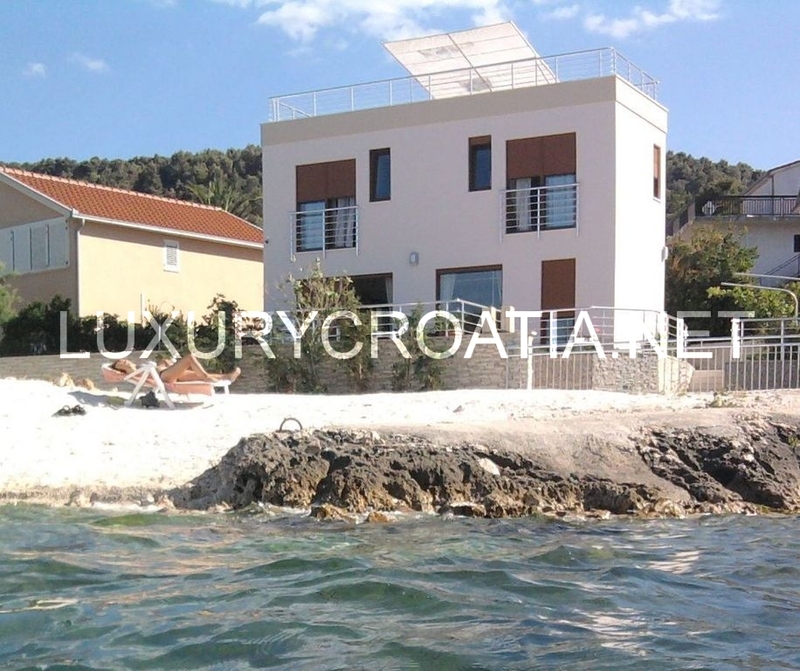 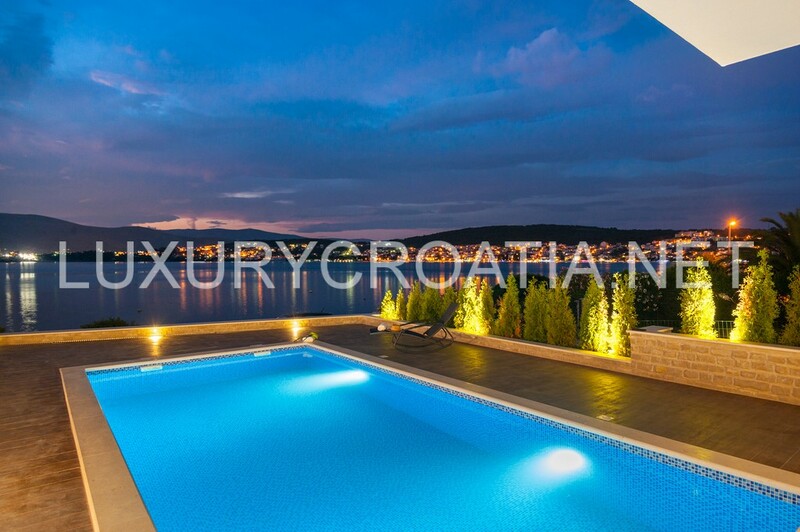 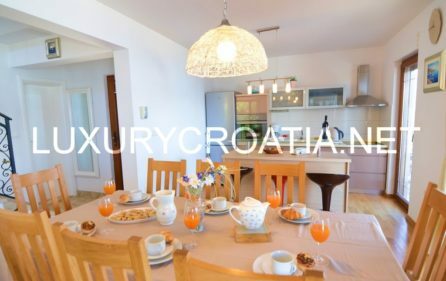 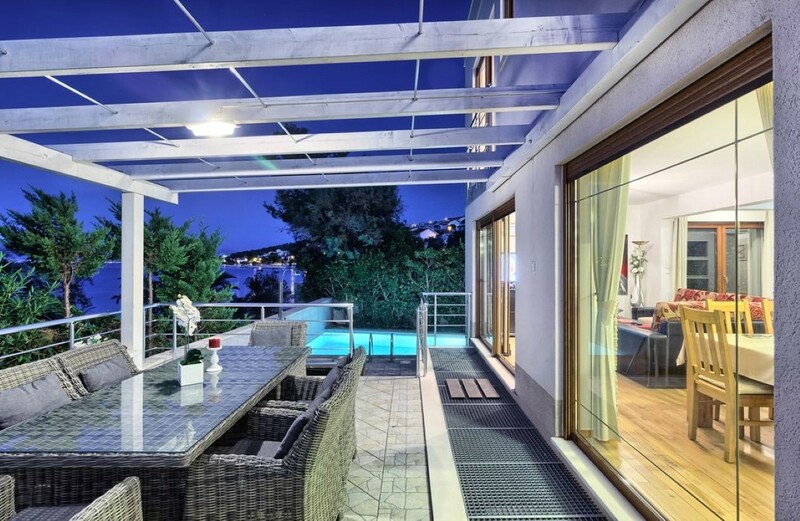 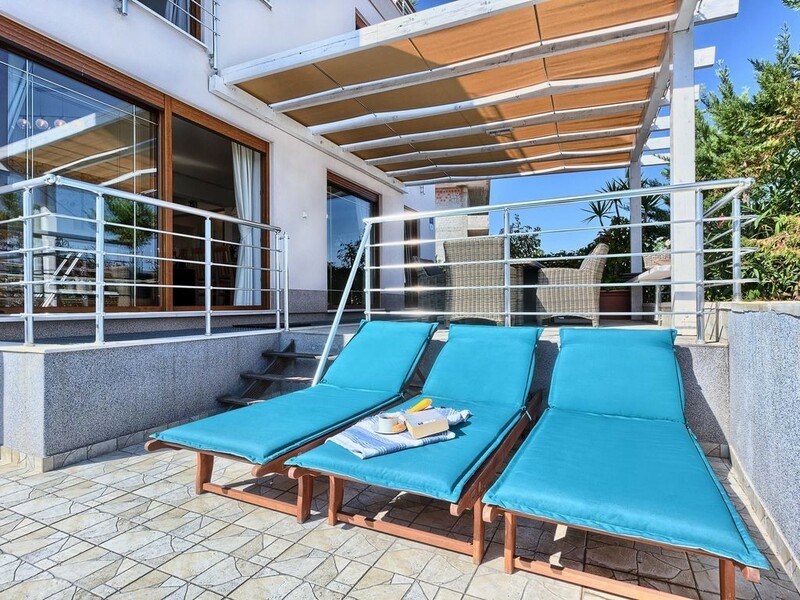 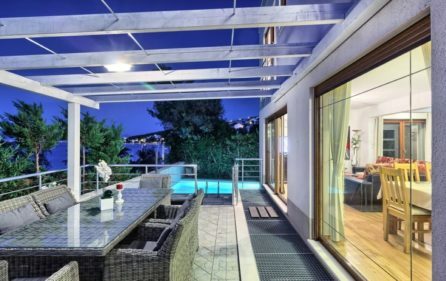 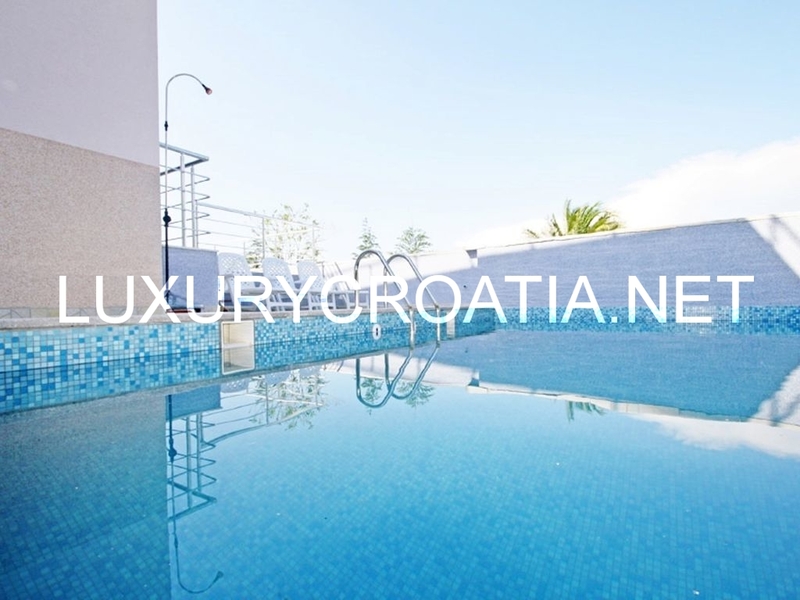 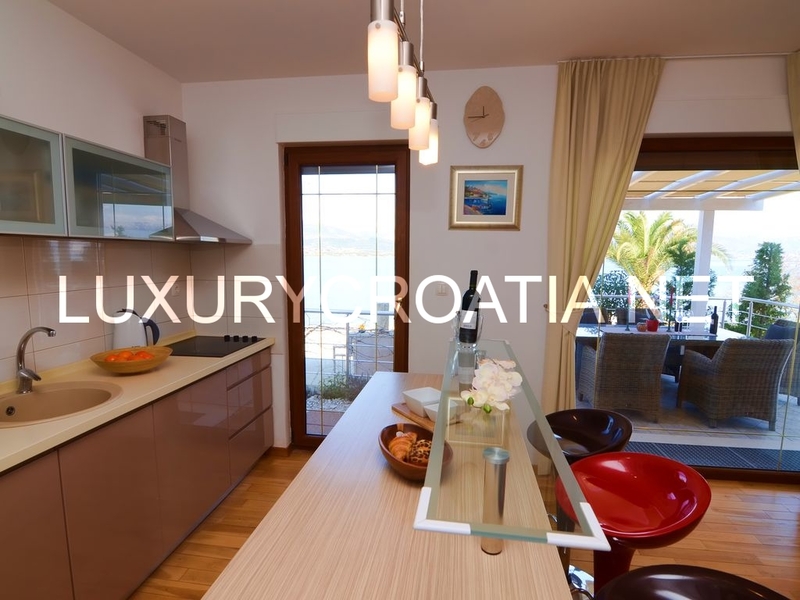 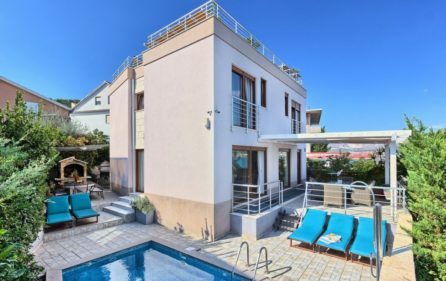 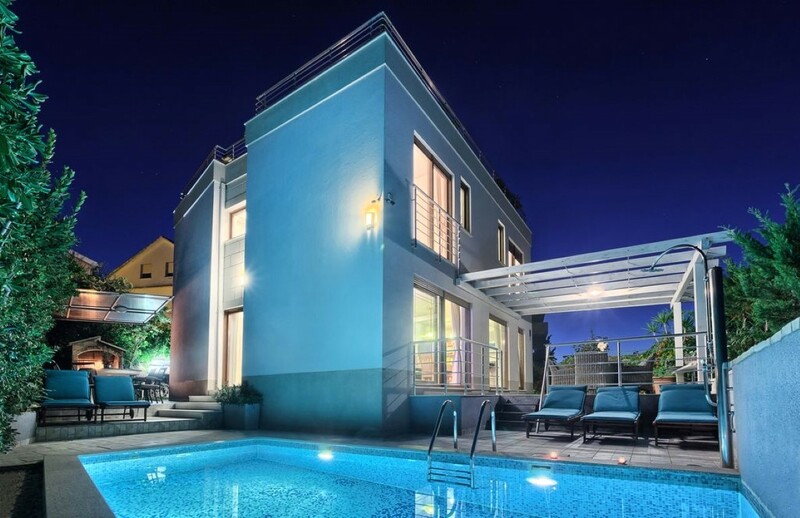 This luxurious villa is the perfect choice for summer holidays, with natural and historical beauties of Croatia and Dalmatia. 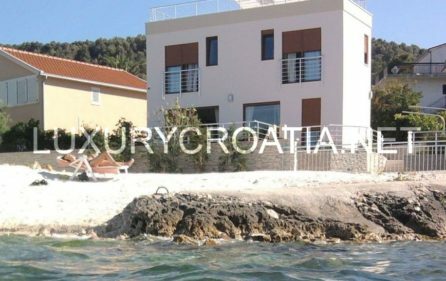 Discover the beauty of Croatia and experience an unforgettable holiday in Dalmatia. 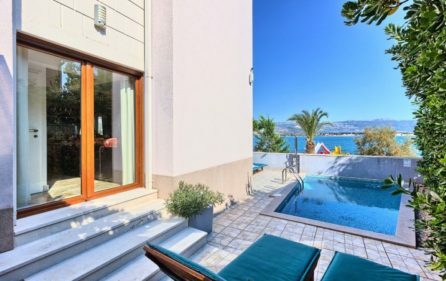 Arrival possible any day of the week!